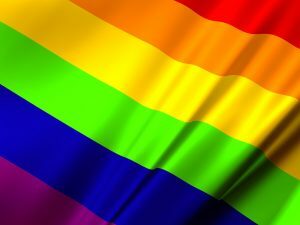 Home › Thing of the Day › Welcome to LGBT History Month! Sorry this wasn’t posted last week, but better late than never! There’s lots of exciting things going on this LGBT+ History Month. Check out what appeals most to you from the choice below. We’re just putting together our traditional book and poster display on the first floor of the Library and will be sharing photos of it when its done. Jack Dranfield, a student who championed the rainbow laces through the Have Your Say platform said: “It is really important to me that everyone who wants to, feels they can, take part in sport at the University of Portsmouth. One way of doing this is for our societies to be open and accepting of every student who wants to join. Showing their support of the LGBT community in such a public way means people who may not know what rainbow laces are, see them and start a conversation. Hopefully, it will also show people that homophobia, transphobia and biphobia will not be accepted in sport at Portsmouth. Wearing your laces to fixtures, nights out and casually means you’re being an active Ally for the LGBT students of Portsmouth.” On Pride Wednesday (6 February) groups will be encouraged to dress in rainbow colours and donate to LGBTQIA+ rights charity Stonewall. ‹ Landed with the law?